That meant having your wallet and passport secured in a bag with a zip, and making sure you keep your eyes on it at all time, because if it catches a monkeys eye, you can kiss those goodies goodbye. 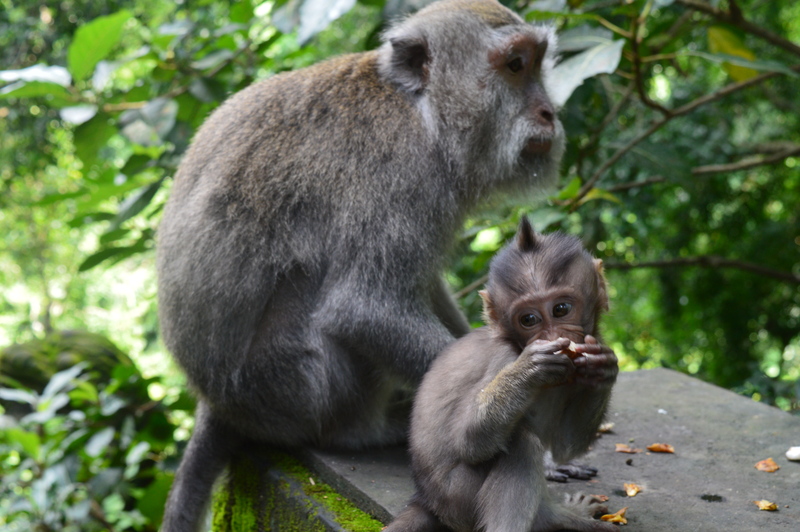 Taking food into the forest is the easiest way to make friends with the monkeys, and the easiest way to find out how celebrities feel when the paparazzi attack. If you have food, the monkeys will know, and they won’t let you get in between them and a tasty morsel. Apart from the obvious environmental ramifications if you happen to drop or lose a plastic product in a rainforest full of wildlife; these monkeys seem to have a fascination with them. They’ll assume there is food or drink in them (even if there isn’t) and they’ll stop at nothing to get it. We watched a very ambitious little monkey have an epic battle with a tourist over an empty plastic bag, and while that time the woman won, I suspect there are many times when the monkey comes out on top. 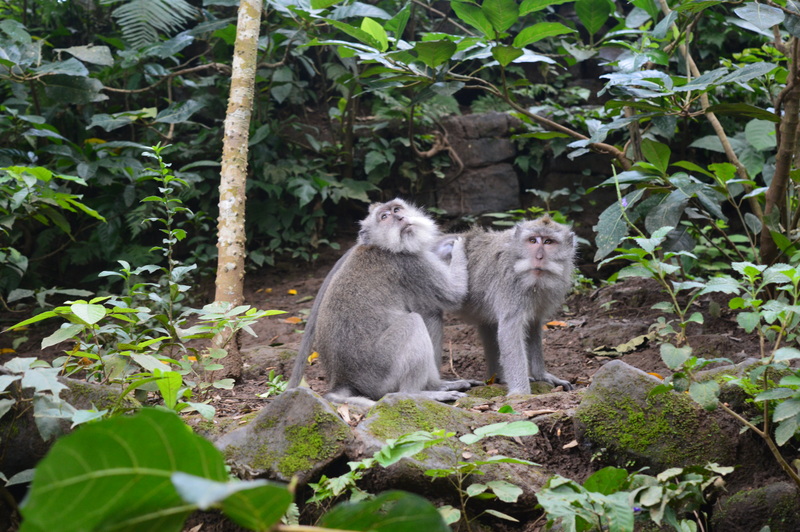 Being a massive animal lover, I never thought I’d be intimidated by something as cute as a little monkey, but there was something about walking into a rainforest crawling with these cheeky little devils that was a little intimidating. Scared is the wrong word, but I was definitely a little jittery when trying to get close to the monkeys, especially after one gave me a little nip on my wrist (thankfully it didn’t break the skin, so I got out of that one rabies-free!). The key is to relax, even when they jump on you (and they will! 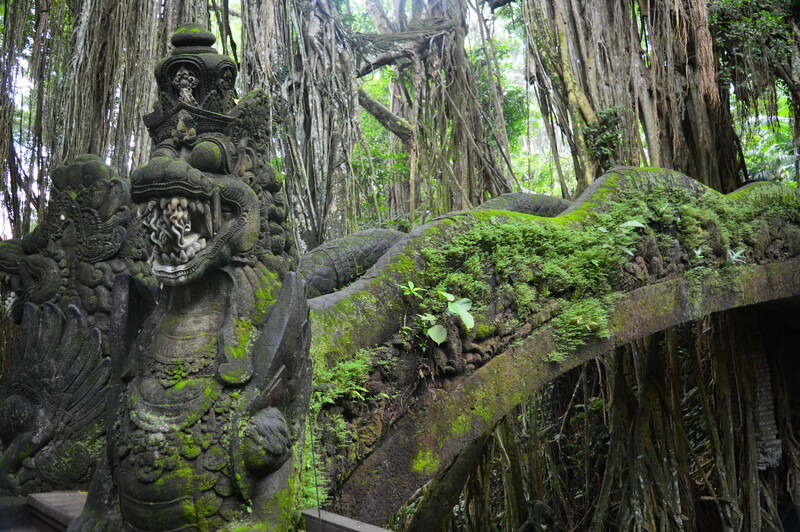 ), try not to make any sudden movements and definitely make sure the monkey is ok with you before you get closer to it. Obviously this is easier said then done, but at least you’ve been warned! Monkeys are not like domestic animals, where 9 times out of 10 it is fine to just go up and scratch them behind the ear to make them love you. It is important to remember that these are wild animals (my favourite kind), they are not pets. 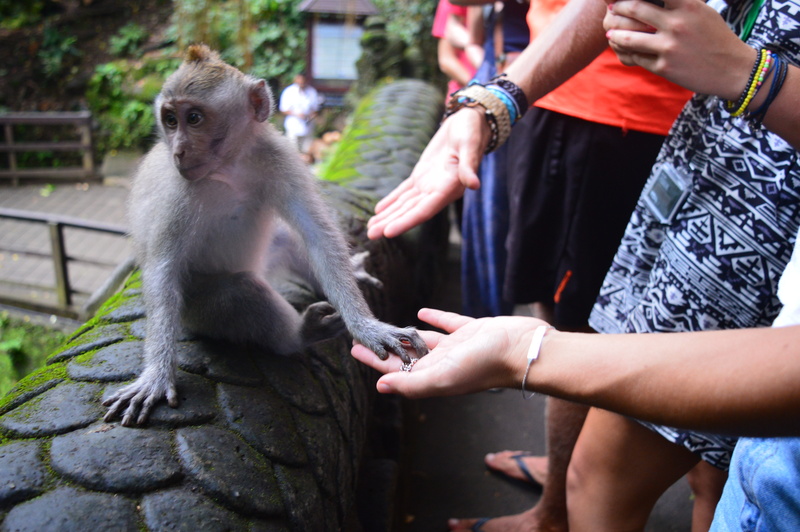 If you want to get an awesome photo of you shaking hands with a monkey, approach it slowly and hold out a closed fist (palm up); the monkey will open your hand, and when they see nothing there, will simply walk away. But you still essentially got to hold hands with it, which is as good as cuddling when it comes to animals in the wild. 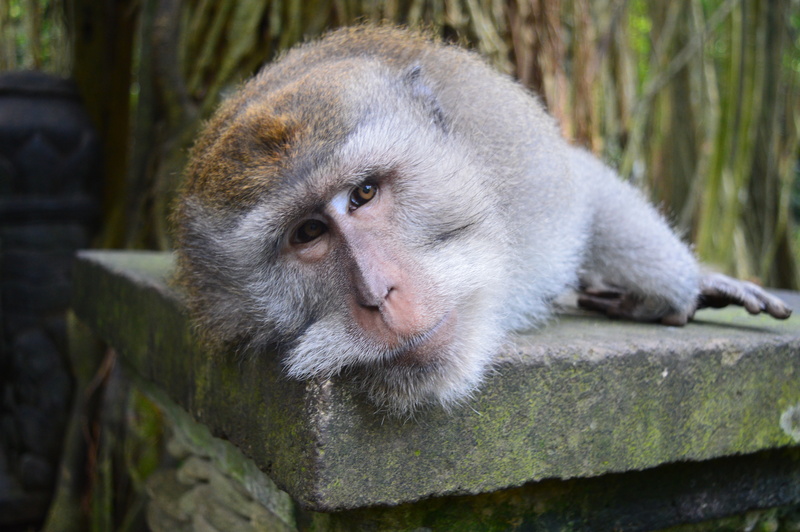 Don’t let their cheekiness deter you from visiting the monkey forest in Ubud. It was an amazing experience, and it is always so refreshing to see wild animals in their natural environment, without the need to be caged. 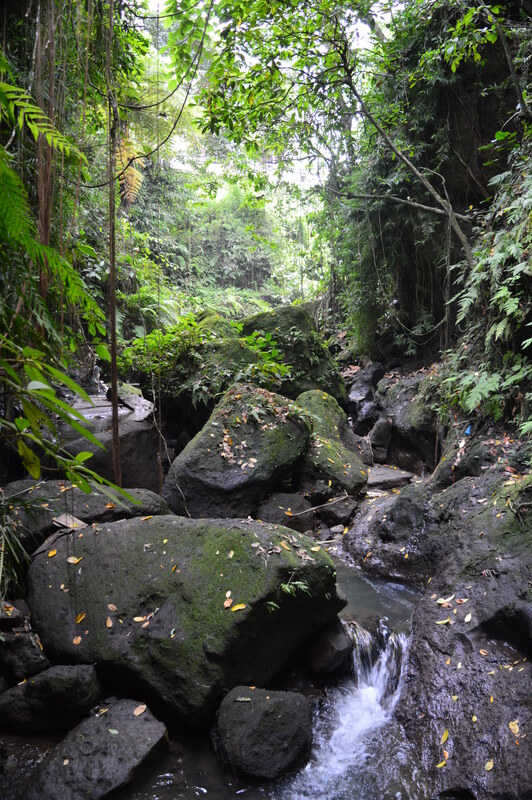 The monkeys in the Ubud forest are not caged at all, they’re free to do whatever they want, but they have established their community there, and so they stay. 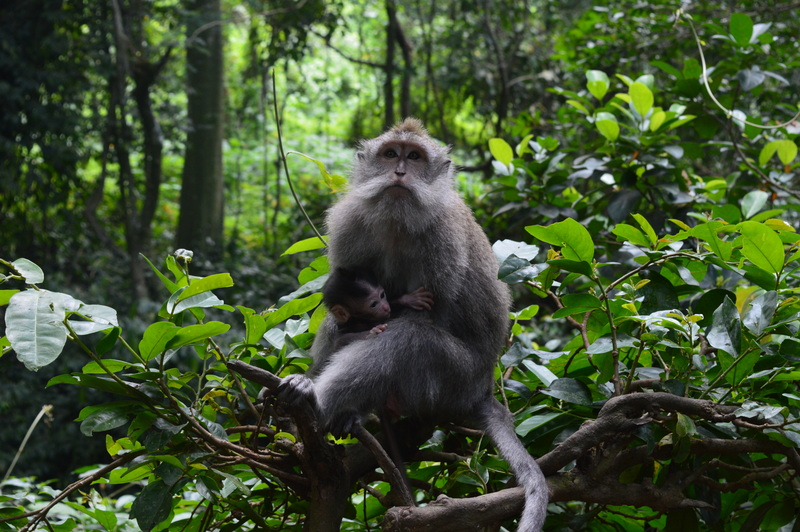 If you run into any trouble in the forest, or are too scared to approach a monkey on your own, there are plenty of “trainers” who patrol the forest to babysit sookie tourists, and they will be more then happy to help if you ask for it.